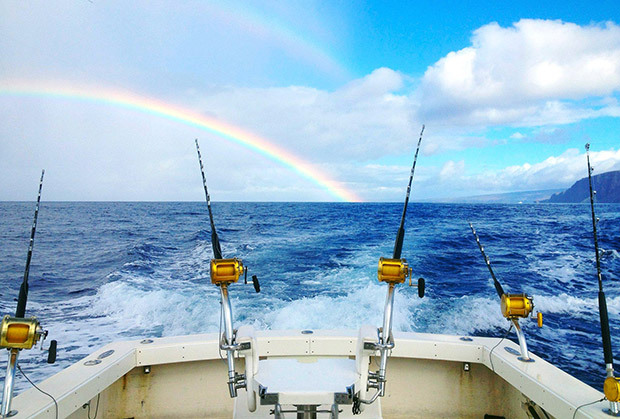 Breathtaking Maui scenery … optimal sportfishing conditions … impeccably maintained and outfitted 42′ (loa) Bertram sportfisher … an experienced and courteous crew. Put it all together and you’ve begun to picture your Maui sport fishing experience aboard Lahaina Maui’s #1 highliner, Start Me Up. 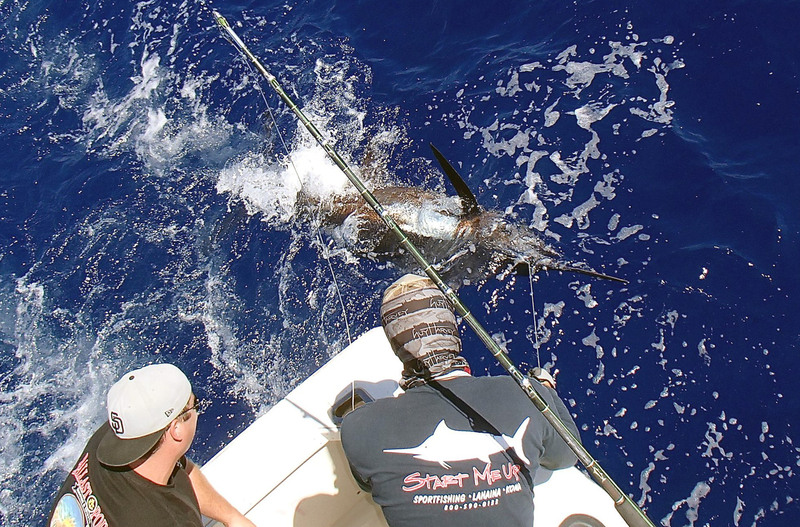 Whether you’re a novice or experienced sportfishing enthusiast, you’ll discover that deep sea fishing off Maui Hawaii is unlike any other sportfishing experience you’ve ever had. Nothing exemplifies the Hawaiian lifestyle like a day on the water. 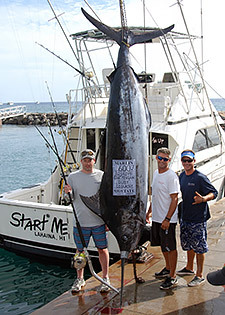 A Maui sport fishing adventure from Lahaina may take you around the islands of Lanai, Molokai, Kahoolawe or Molokini, offering a fishing guest a rare experience afforded only a few of Hawaii’s visitors! 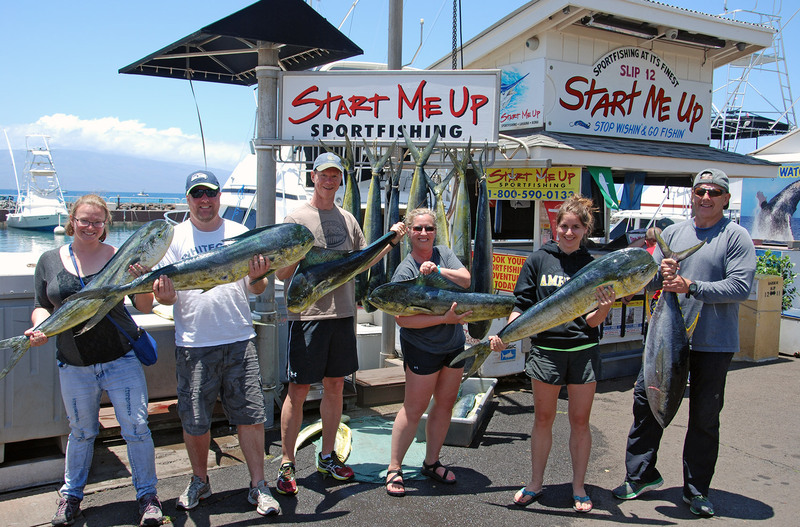 On our Maui trips you’ll have a chance to hook up to a variety of marlin species, mahi mahi (dorado), ahi (tuna), ono (wahoo) and more. Other added benefits are the fabulous tropical sunrises, whale watching, maybe a spinner dolphin playing in the wake. 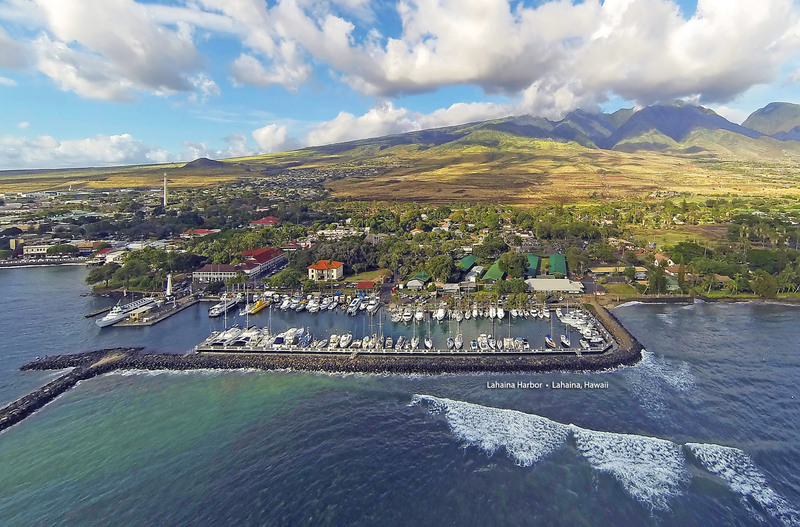 As long-time residents of Maui and Kona, feel free to ask our opinions about the other activities, restaurants, hotels and places to see that you might otherwise miss during your stay in the islands. 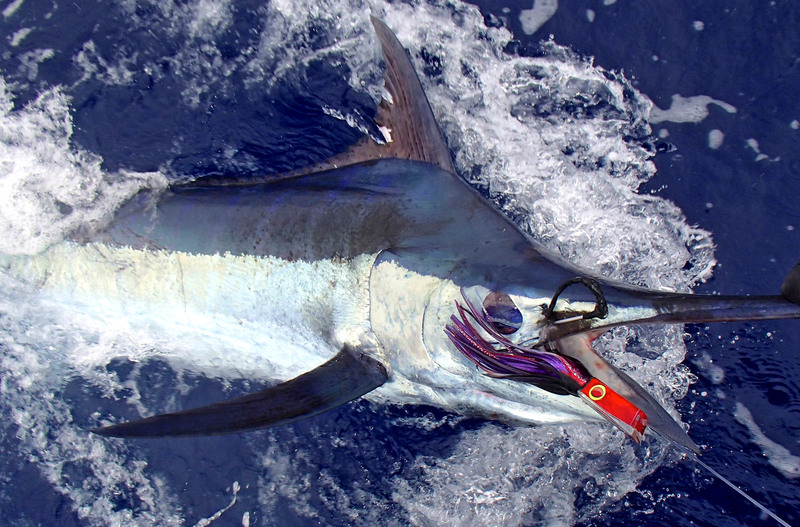 Make no mistake, our #1 goal is doing everything we can to help you catch the fish of a lifetime! 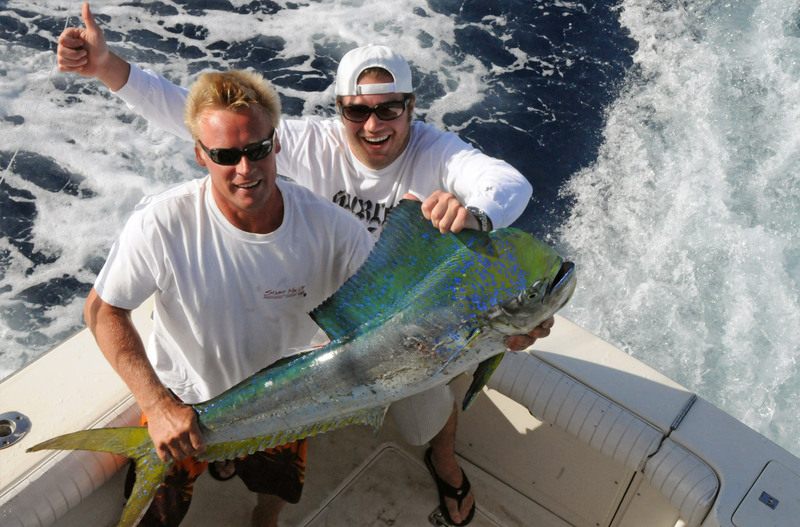 We are experienced tournament winners, so contact us and let’s talk fishing today! All the game fish we catch are caught on the troll. Trolling is when one or more fishing lines, baited with lures or bait fish, are drawn through the water. The fishing rods are placed in rod holders and the lines are set with the lures at varying distances behind the boat held apart by the outriggers to avoid line tangling. Trolling speed varies depending on water and weather conditions. The ideal position of the bait is skimming on the surface of the water to mimic the behavior of an injured or fast moving fish, this is what attracts the game fish we are targeting. Weight Range 15 – 50lbs. Weight Range 12 – 50lbs. Weight Range 40 – 200lbs. Weight range 50 – 175 lbs. Weight Range 125 – 1000 lbs.